For many years, online market researchers have divided their research web panel audiences up into two main universes—that is at work and at home—as a way to model and understand the different ways that people behave when surfing during the office and at home. Clearly, people are likely to view , well, “different” sites at home than they might ordinarily view at work, and might buy different things too in each situation. But, over the last couple of years, a third universe has been establishing itself as a dominant force in online audience behavior modeling and that is mobile audiences or the universe that I call ‘on the move’. There is a growing online audience who are expecting to be able to access the web and continue their online lives while on the move, e.g. waiting at a bus stop, sitting on a train, or relaxing in a coffee shop. 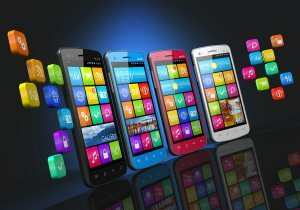 The shift to ‘on the move’ online audiences has intensified recently, especially in the job hunting domain and, as a result, a whole range of careers based mobile apps are hitting the market to help job seekers to conduct effective job searches on the move and win back those lost moments of time. Below, you will find some of the most useful ‘on the move’ career apps on the market today. If you want to easily search for jobs while you are out-and-about, I’d suggest installing a job search app on your phone. I’d recommend using a job search app from a job aggregation site as you can then search all the job boards from apps,which means you don’t need to download 4/5 separate jobs board apps. I have nothing against job board apps, it’s just where space is a premium, such as on a smart phone, job aggregate apps will minimize clutter. Job Search by Indeed is a leading job aggregate app and is available on Android and iPhone. The Pocket Resume is available on Iphone, Android and Blackberry. This is another great app to use if you are on the move, but have come across a great role and you want to apply for it there and then. So, what can it do? This app can retrieve your latest information from your LinkedIn profile, (which you can further tailor to suit a specific role), and then you can export to PDF or dropbox. This means you can quickly create a tailored resume on the move and make a quality job application wherever you are. Simpaddico LLC has prepared an app, called Interview Prep Questions App to help you prepare for those interview questions on the go. Maybe you have arrived for your interview an hour early and you want to do a little last minute interview question preparation. Then this app can help, as it provides practice questions and can also suggest answers, which you can adjust to fit your own background. This app is free and is available for Iphone and Android. Career Confidential LLC have produced a great, free interactive video app, called Job Interview Questions-Answer App, that enables you to practice interview questions in a simple mock interview format. The apps works by giving you a question, and allowing you to record an answer and then you can compare your answer to ‘Peggy’s [model] Answer’. (Peggy is the real-world career coach who created the app) . Monster.com offers a similar app called Monster.com Interviews. So, as patterns of behavior change, with job seekers expecting to be able to continue their job search on the move, a range of careers apps are coming on to the market to meet this need and literally put the job seeker’s career campaign in the palm of their hand.